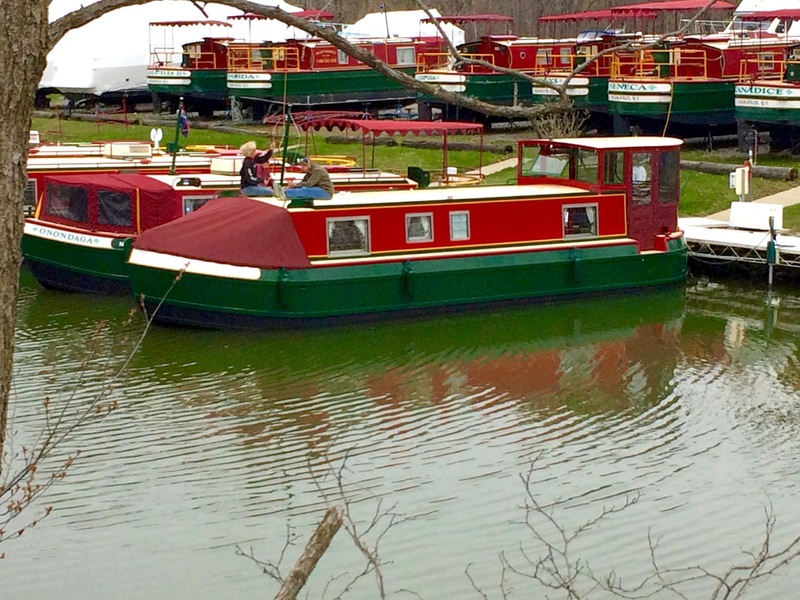 Spring has sprung and its time to get some boats in the water. 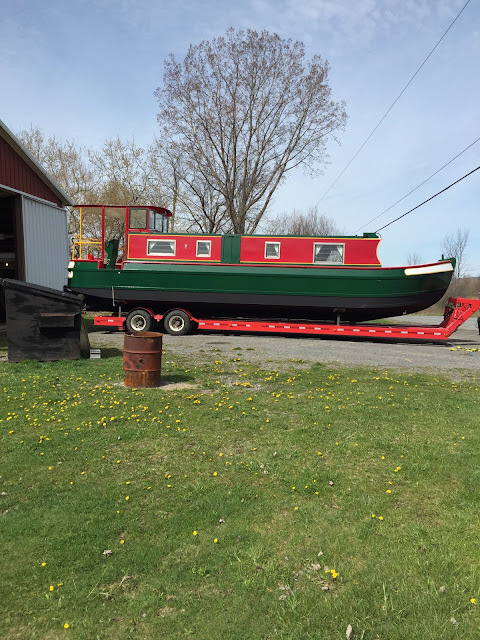 If you have read my (rather intermittent) blog, you know that our BIG THING this winter has been breathing new life into the canal boat formerly known in the Mid-Lakes fleet as "Keuka", and more recently called "Nicole Claudine" as part of the Erie Champlain Canal Boat Company, in Waterford. 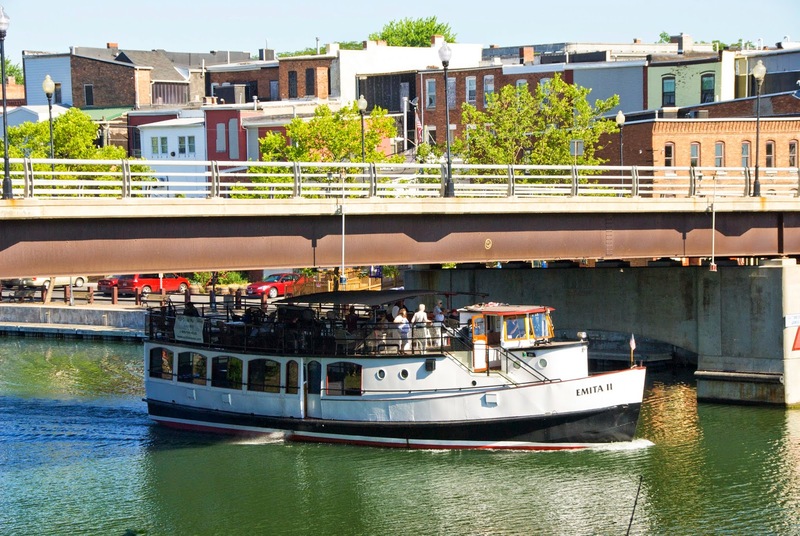 "Harriet" is now on the way to her new port! Here is a sneak peak. 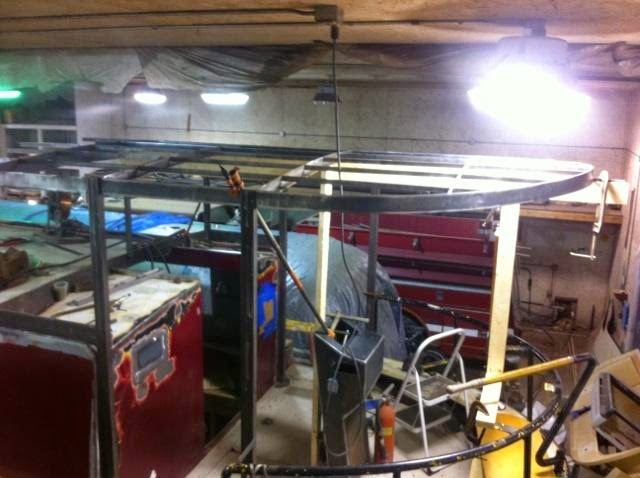 Of course more pictures will come now that she is out of the artificial light of the Boat Barn. 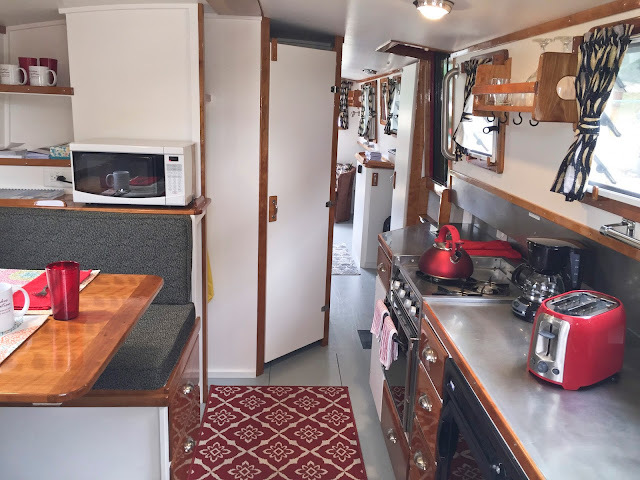 The first looks at the interior of the "Harriet". We will get more pictures when she gets home to Macedon. New hard top canopy on the back deck. When she gets to Macedon, the back deck will get vinyl canvas, so she'll be completely enclosed in case of rain. Ready to pull out of the Boat Barn. In the care of Lockview Marine Haulers, the "Harriet" just passed by our Skaneateles office, en route to her new home port in Macedon, NY. 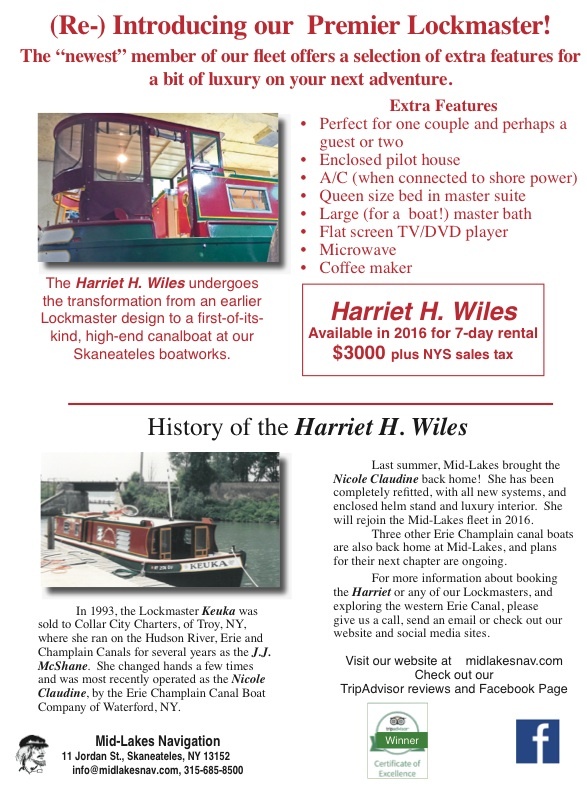 The Latest on Canal Boat Keuka…Re-named "Harriet H. Wiles"
So, it's been 8 months since my last Blog post, and a LOT had happened with the Keuka. First of all, her new name is the "Harriet H. Wiles". She is still a work in progress, but most of the work is done. Below is an email that I typed to a gentleman who was asking about her (and became her very first renter!!) He later told me that he heard about "The Harriet" from our blog, which made me realize that his email was a perfect blog post. So, We're back! Good interior photos are hard to come by right now. Attached are a few that I took last week. They are not very good a) because lighting is bad, b) They were taken from my phone and c) the electrician was there so there was "stuff" all over. 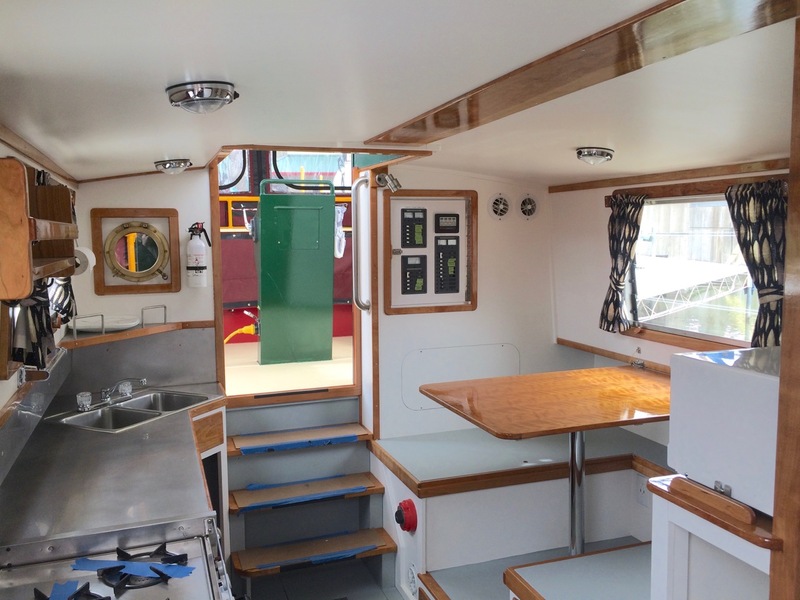 The first picture is the stateroom, facing forward. 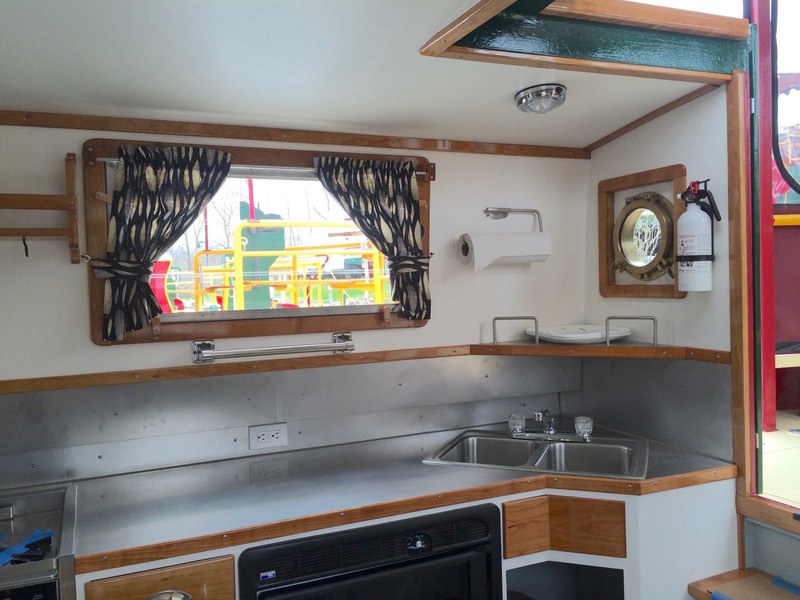 It is in the area of the boat that contains the galley on all of the other boats in our fleet. Since the boat is designed for just two people, we took advantage of the large space for the "private" area. In the picture, I am standing next to the queen sized bed (that does not have a mattress yet, but will soon. The counter will have a television and there is room for a lounge chair or small recliner on the other side, to the right of the doorway. 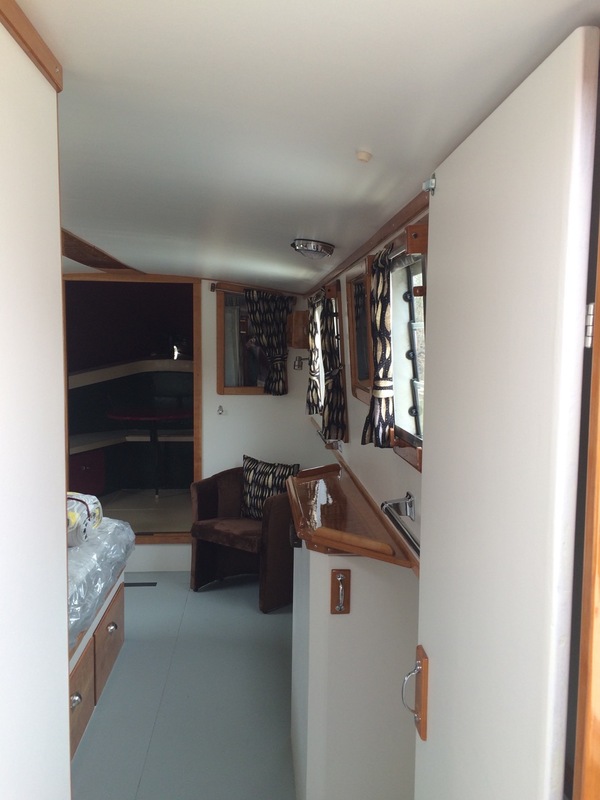 The second photo shows the shower/head area, which is much larger than on the other canal boats in the fleet. The head cannot be seen in this pic, but it sits opposite the entrance to the shower and there is plenty of room in there for dressing. Its a nice space. Huge by boat bathroom standards. The third picture shows the galley, located in the aft section of the boat, accessible from the rear helm area. Opposite the galley, there is a settee, much like on our other 42' boats, that will convert to sleeping for one or two more guests if needed. The settee table is made from the most beautiful piece of cherry wood! I just love it. I am sorry that the pictures aren't a little better. Its hard to get a good shot in a 10' wide space with an iPhone. We will get an actual camera in there once construction is complete. If you are still interested after these bad pictures, she is still available for (almost) all dates. So, as it turns out, I am apparently a very bad Blogger. Only a few weeks into this and I am already behind on my posting. As every blogger, I am sure, has done, I promise to do better. In our last post, we promised pictures of the "Keuka's" exterior work. The major change is in the canopy. 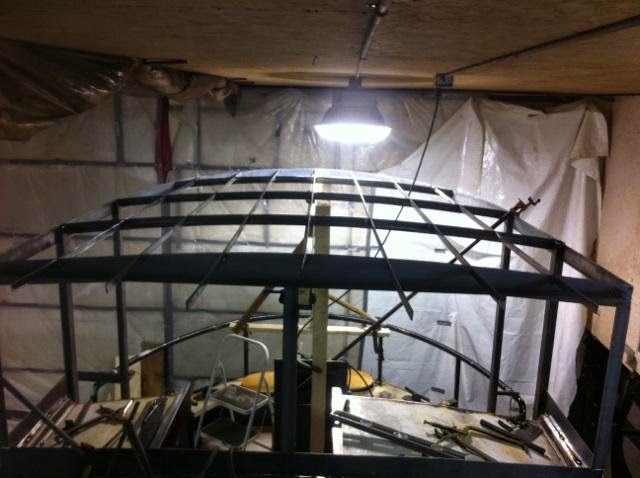 Where the current fleet has a canvass canopy covering the helm stand, this boat is getting a hard top, steel canopy that goes forward to completely enclose the hatch leading into the cabin. We will add a windshield to better protect the Captain from, well, wind. There were some differences in opinion while this new design was being thought out, but I think we came up with a good compromise. There will still be plenty of airflow and "out-door-sy" feeling at the helm stand, but we will also be a little more weather-proof. 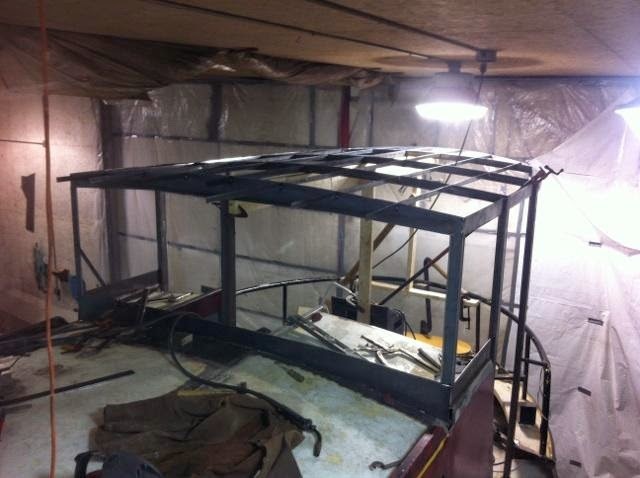 Framing for new windshield on Lockmaster "Keuka"
New design offers more protection at the helm stand. 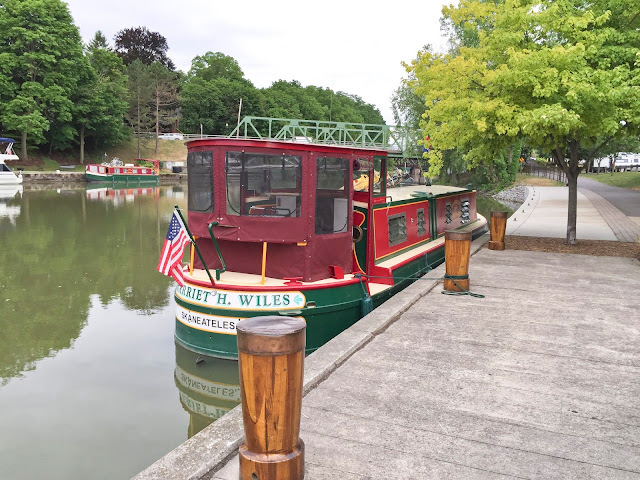 The "Emita II" Came out of dry dock last week and the "Judge Ben Wiles" is launching as I type. 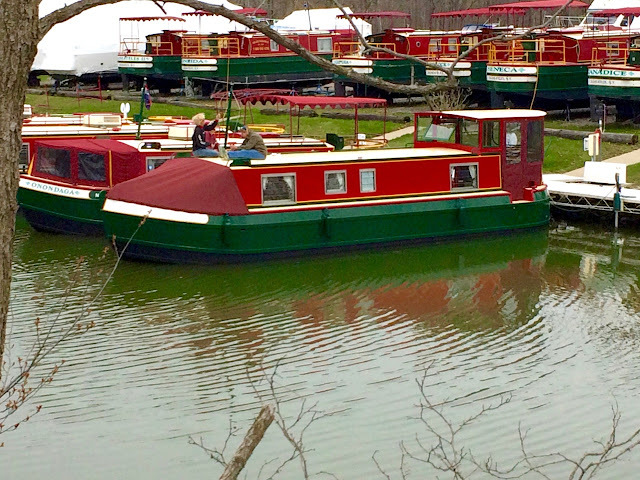 The marina is getting into full swing, launching customer boats and polishing up the Lockmaster fleet. Our office is busy with some marketing projects, a reservations system upgrade and stocking up the gift shop for the season. Its definitely busy season at your friendly neighborhood tour boat company! Leaving Dry Dock. Time to get this season started! Clear Tracks, ready for launch. The ice was, thankfully, kind to us this year. 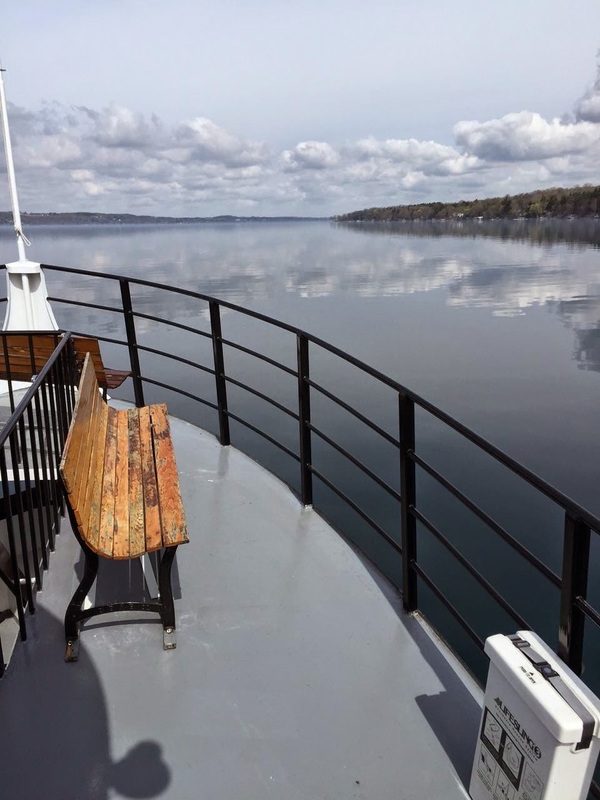 Finally, the ice is melting on Skaneateles Lake. The Judge and the Barbara are safe and sound in their cradles in Borodino and there is open water around the railroad tracks, so it looks like we will be ready to launch in time for our first Lake cruise on May 9th. Phew! Capt. 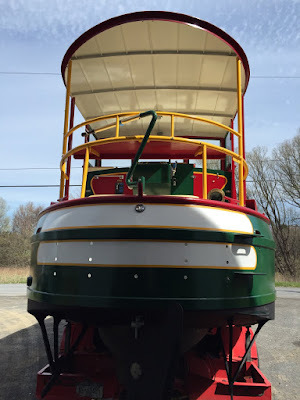 Dan has been working hard getting the Emita II ready for her May 23 season opener, an all day cruise from Macedon to Newark, NY. 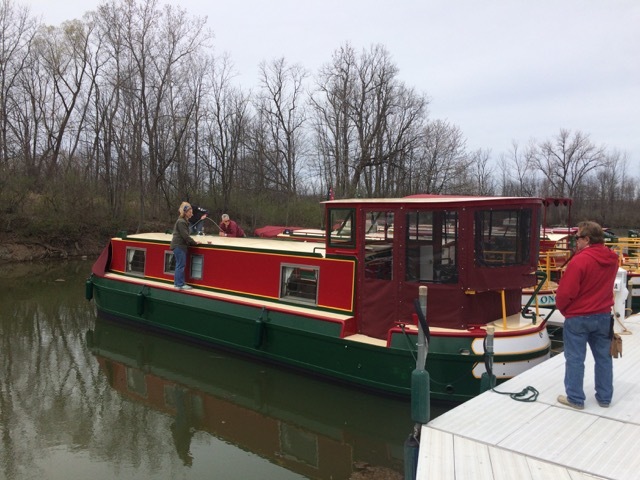 And, the Lockmaster fleet will be coming out of their covers soon for some quick cosmetic work and charters beginning in early May. 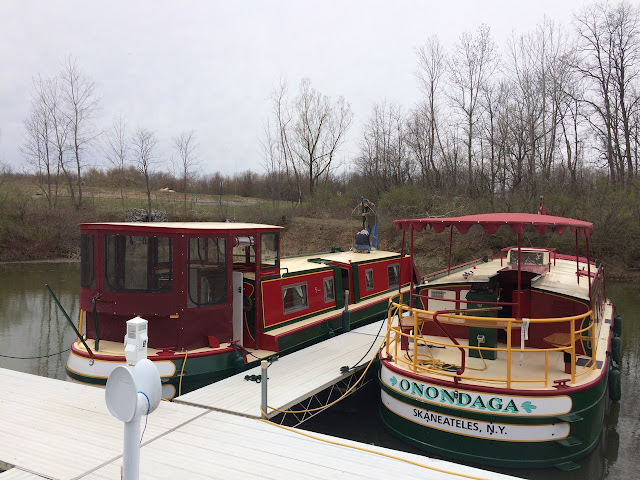 The most exciting news here at Mid-Lakes remains the refurbishment of the old Lockmaster Keuka. She is a 42' boat, and was formerly laid out inside similar to the current 42' boats in the fleet. 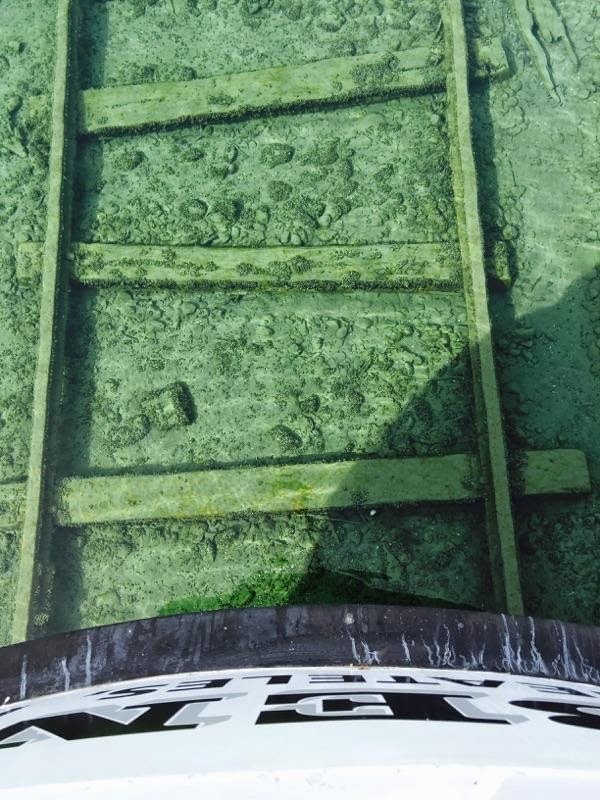 (Here's a link to the layouts if you aren't familiar: http://www.midlakesnav.com/lockmaster/theboats.html. Our new design changes the interior quite dramatically, making an interior with a more spacious, luxurious accommodations for a couple. 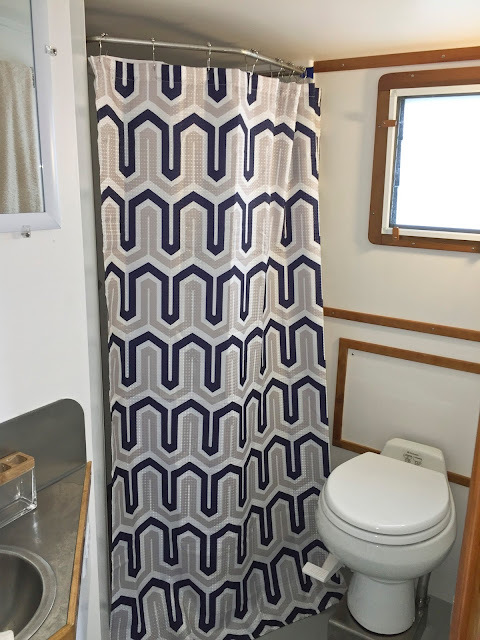 It will still feature two heads and a shower, but will have upgrades in the galley (which moves aft), a queen size bed and lounge area forward. Here are some pictures of the progress to date. There will be some big changes to the exterior of the boat too. But we'll save that for another blog when we have to pictures to post. Let us know what you think! Despite cold temperatures, and more snow on the ground than we'd hope for (not to mention a still completely frozen Skaneateles Lake), the days are getting longer, I think I saw a robin, so Spring start-up needs to begin soon. But first, we have a exciting project going on at the Boat Barn in Borodino! 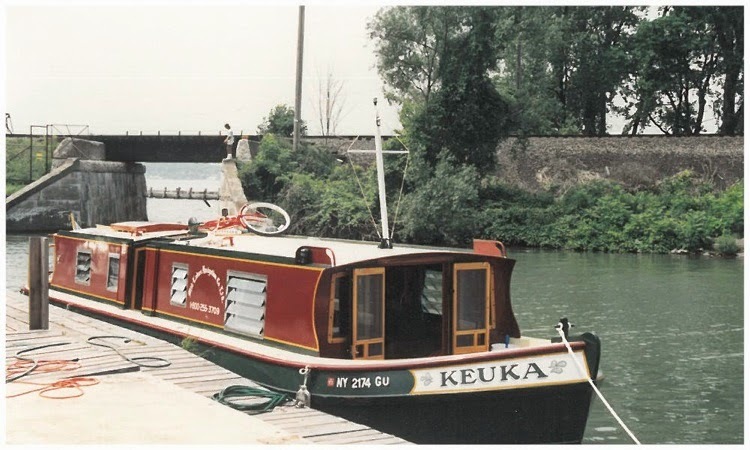 The "Keuka" was the fourth Lockmaster Canal Boat that the Mid-Lakes built. 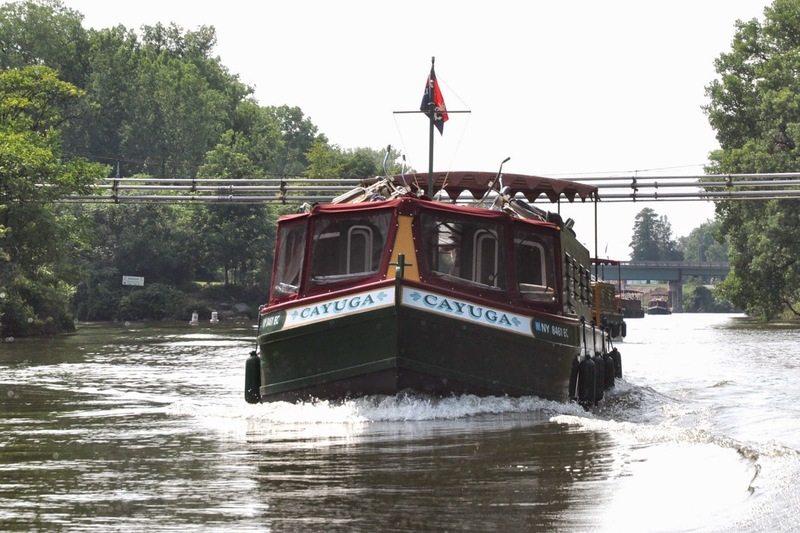 She was built in 1989, spent five years in our fleet before being sold, along with her sisters, "Skaneateles", "Otisco" and "Owasco" to Collar City Charters in Troy, New York. Since that time she had plied the waters of the Hudson River, Champlain Canal and Eastern Erie Canal, changing hands a few times, but for the most part has operated continuously for all these years, most recently going by the name "Nicole Claudine". 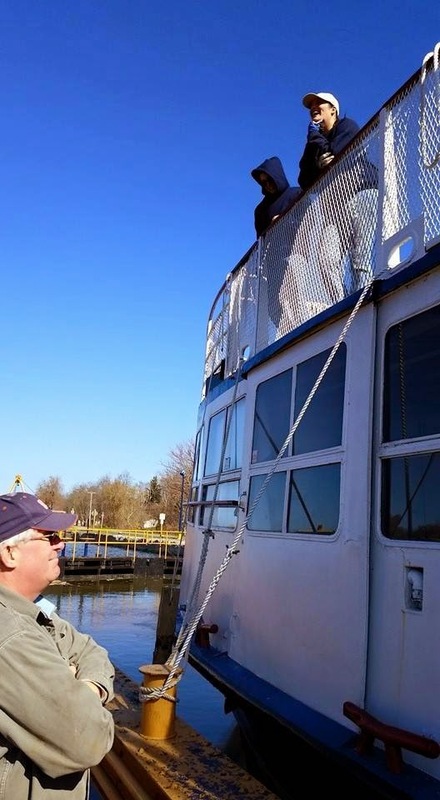 Last Summer, we heard that she had once again gone up for sale, and we jumped at the opportunity to have her and two of her sisters back in the Mid-Lakes Lockmaster fleet. 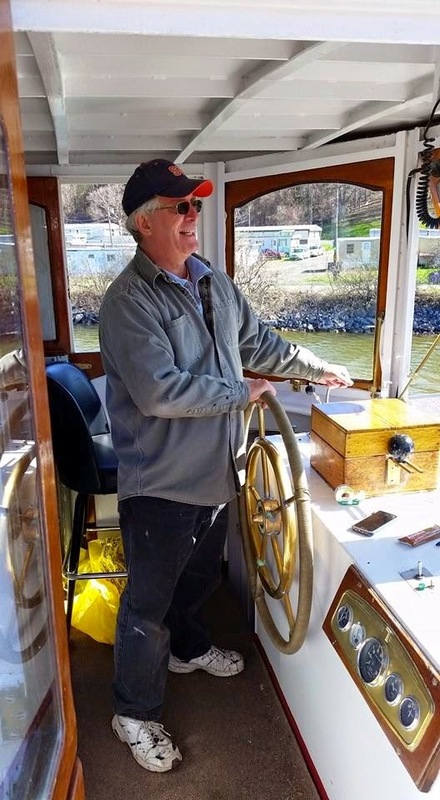 As luck would have it, Patrick McCarthy, one of the amazing boat builders who was with us back in the 1980s for the design and building of the original Lockmaster fleet, had some time in his busy schedule to come on board for the "Keuka" project. Work started last week, and we can't wait to brag about our progress on this new blog. Stay tuned! Welcome to Mid-Lakes Navigation's new blog, Running Lights. 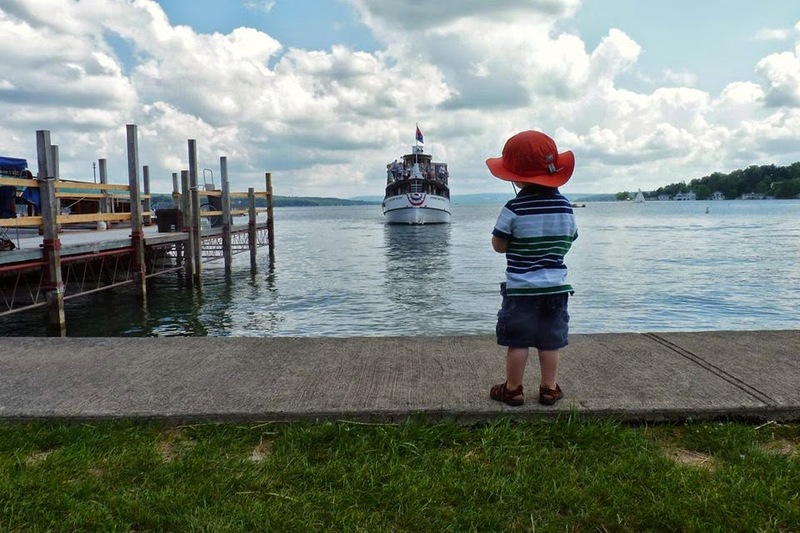 Anyone who has followed Mid-Lakes throughout our 46 year history on Skaneateles Lake and the Erie Canal, may remember the newspaper format brochure that we snail mailed to our loyal customers each winter with the next season's schedule, news about the boats, the business, the Wiles clan, and the latest happenings on the lake and the canal. We gave up the printed version of Running Lights several years ago, moving to a more nuts & bolts printed brochure (that fit much better on a brochure rack). Now, ten or so years later, interaction with customers is happening a great deal through the internet and social media, we are continuing to embrace technology and bringing back a new and improved (we hope) version of the old Running Lights. 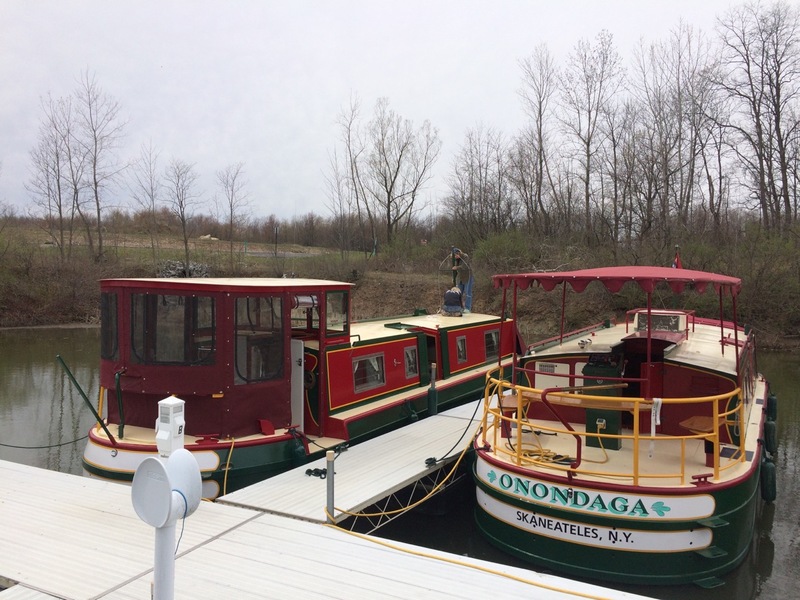 If you are curious about the excitement, interests and oddities encountered in operating the premiere tour boat company in the Finger Lakes, please follow our journey through 2015.